My 13-year-old has found a sudden interest in cooking on the grill. I'm so glad. Years ago, he loved cooking. He told me that when he grew up he wanted to be a chef. And then it faded. And it was years before he cooked a meal again. But the past week he has been grilling all kinds of items. The other night he made dinner. 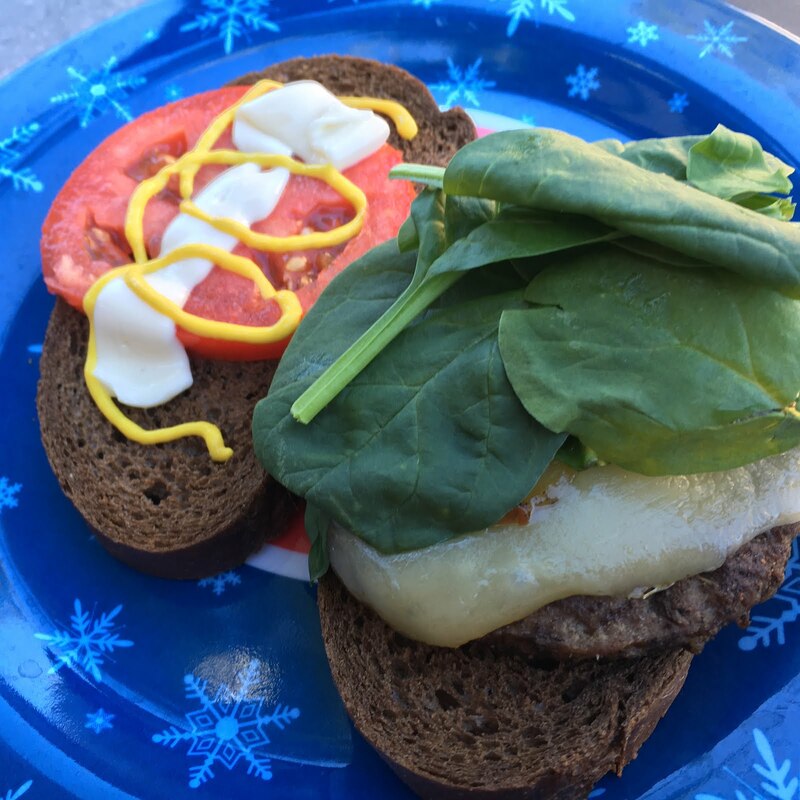 He added aged smoked white cheddar on top of the seasoned burgers. A little spinach on top on soft pumpernickel and we had a pretty delicious sandwich.